Big eggplant fans here and this looks yummy. I make a similar recipe but have not added the potatoes; I like that addition as it probably gave a nice texture and crunch to the dish. 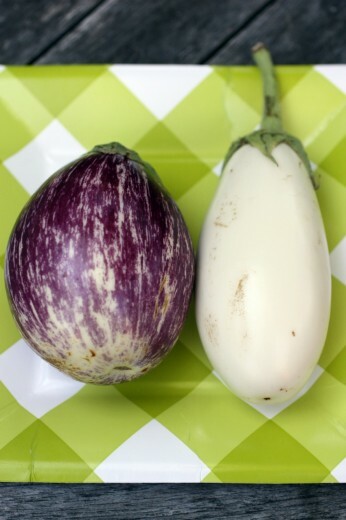 I have not seen the small and cute eggplants yet, but cannot agree more about their sweet flavor. Have you tried the recipe on the front of Plenty? 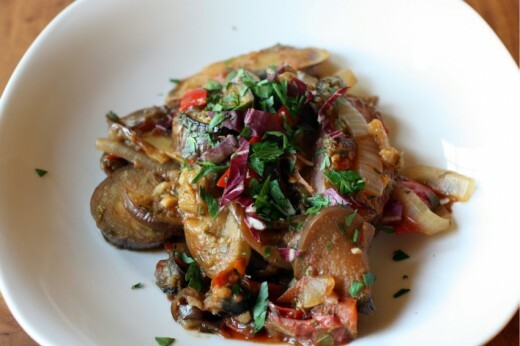 I am thinking that will be a great eggplant recipe as well as this one! Um, omg, – YES. In my face, now! And with that, I think I just changed my menu plan for the week. I have four of Madison’s cookbooks and love all of them devotedly. Every recipe from them has been a huge hit. I love eggplant, I could eat this everyday. Thanks for the recipe Dana, I too am not a huge fan of eggplants, but I do plan to try this recipe! Oh you made me feel better! 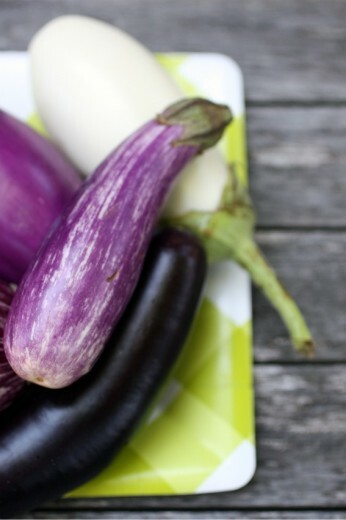 I really don’t care for eggplant too much either, and I feel so guilty about it. Perhaps actually eating them in season will change my mind! I think you will change your mind about eggplant if you taste yakinasu, a Japanese dish of broiled eggplant with skin removed and sitting in a savory broth combined with a little ginger and a topping of bonita flakes. I could eat platesful! Most Japanese izakayas and some sushi bars have that dish on their menu. Holly, I do think that Asian eggplant dishes are the way to go. I like it in Japanese and Thai food. Your idea sounds delicious minus the bonita flakes (not vegetarian). I don’t cook often with eggplants. Will make a ratatouille once in a while. Nice looking dish. I’ve always liked eggplant, but I would have to agree that the end of Summer/early Fall is when they are best. This sounds like a delicious why to enjoy them! 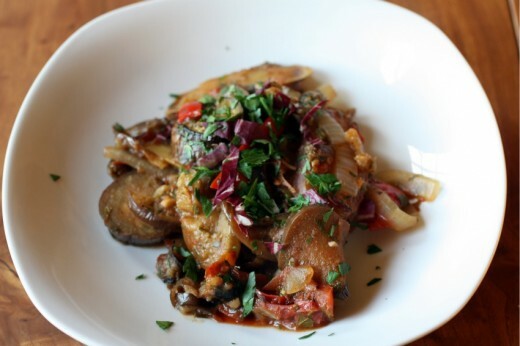 I’m not a real big fan of eggplant either… But, after seeing this recipe, I’m willing to give it a try. That dish looks incredible! I so want this for dinner–served on top of Israeli couscous. Yum! my teenaged son. He liked it, as did the remainder of the household. I also made use of Gluten-free pasta and flour and soya milk and goat’s butter as I am able to tolerate neither gluten nor cow-dairy. Everything tasted fine! Many thanks for publishing the recipe. and a complete chunk of smoked salmon ( not lox). that I am gluten free of cost. Awfully good recipe!